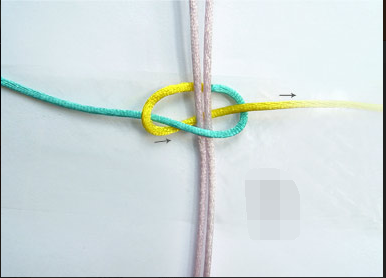 Flat knot is a line or thing as the axis, the other line of the two ends of the shuttle from the axis. 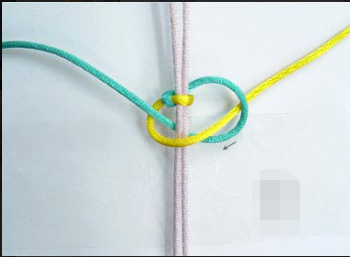 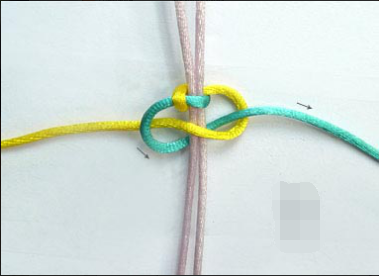 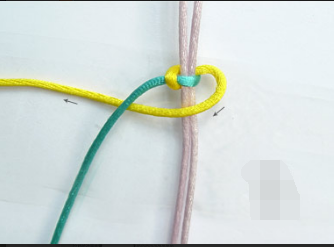 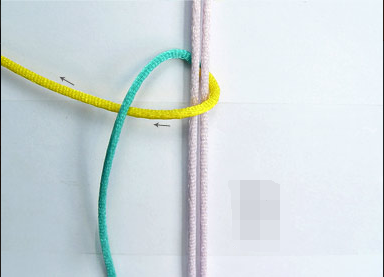 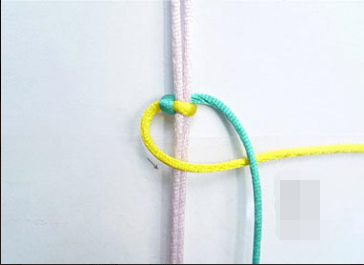 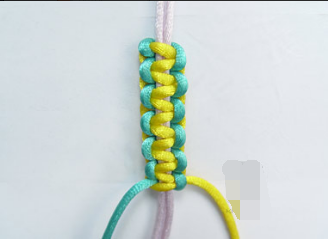 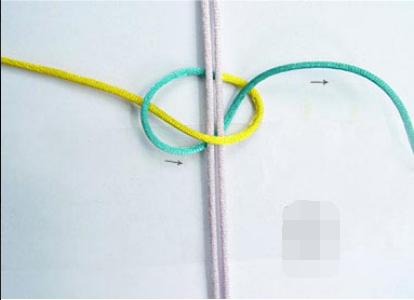 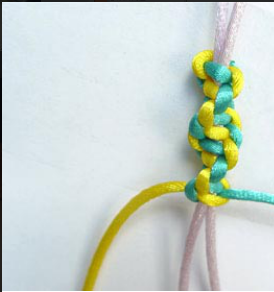 Flat knot because of its beautiful small, simple structure, easy to learn and rich changes, often used to prepare the teapot decoration, bracelets or bracelets, three-dimensional dolls, but also often attached to the ring, with other basic knots, to form a large decorative knot. 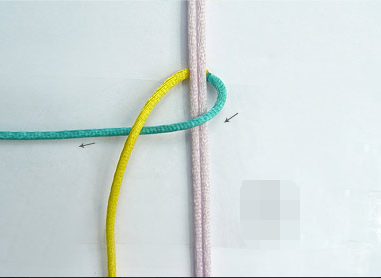 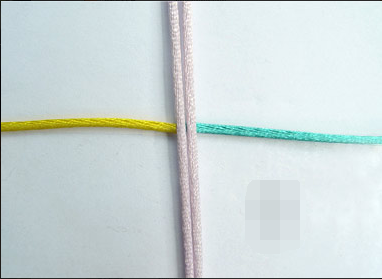 Step 3:The yellow line is down on the upper blue line.